The Apple Pie in the Sky is the perfect fall drink. Imagine that last bite of apple pie… That last bite where the vanilla ice cream and whip cream have melted over the soft delicious cinnamon apples. We have captured that flavor without it being overwhelmingly sweet. Serve Apple Pie in the Sky at Thanksgiving, while sitting around a fire pit roasting marshmallows, or while enjoying a cool fall day. Anytime, day or night, this craft cocktail will leave you wanting more. Put 1 cup of Original Freeze Vodka into a mason jar and add 8 caramel hard candies. Shake vigorously several times. Let sit overnight. To make one drink mix 2 oz. 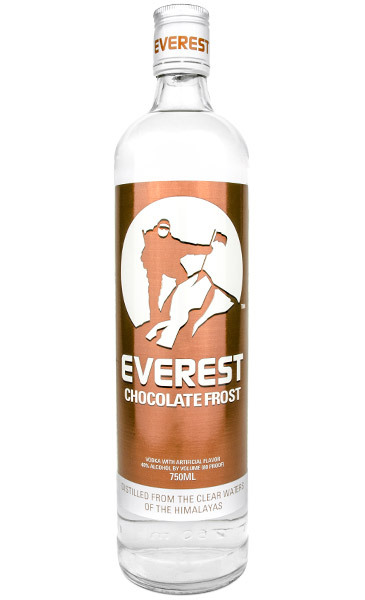 of the caramel candy infused vodka, 2 oz. of apple cider, 1 oz. of vanilla seltzer and a dash of cinnamon. Make a cinnamon/sugar rim by mixing 1/8 cup cinnamon with a ¼ cup sugar. Pour on a shallow plate or bowl. Take a goblet and wet the rim. Dip into the sugar/cinnamon mixture until rim is completely coated. Carefully fill goblet with ice as to not disrupt the rim. 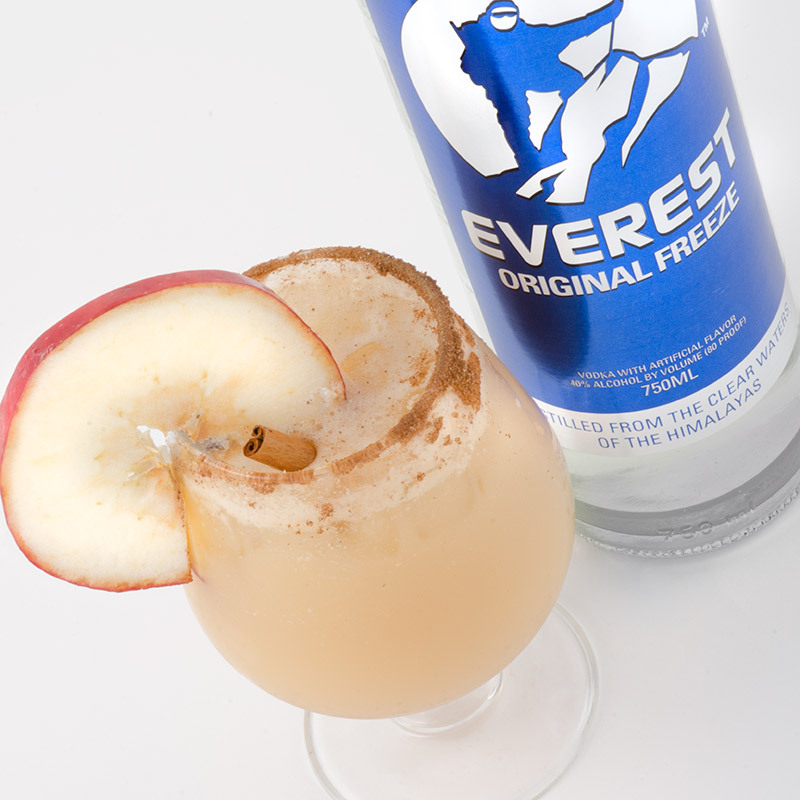 Add Apple Pie in the Sky and garnish with a slice of apple and a cinnamon stick. 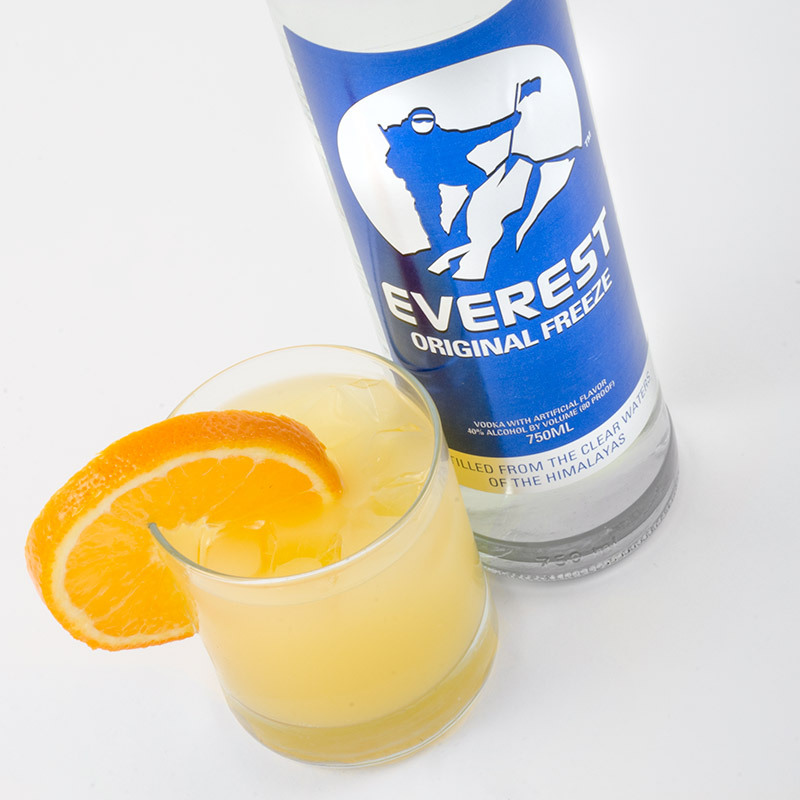 Everest Signature Drink Series recipes using Everest Original Freeze. The Midnight Sky is a sophisticated and elegant martini. It is the drink that everyone will be talking about for years to come. 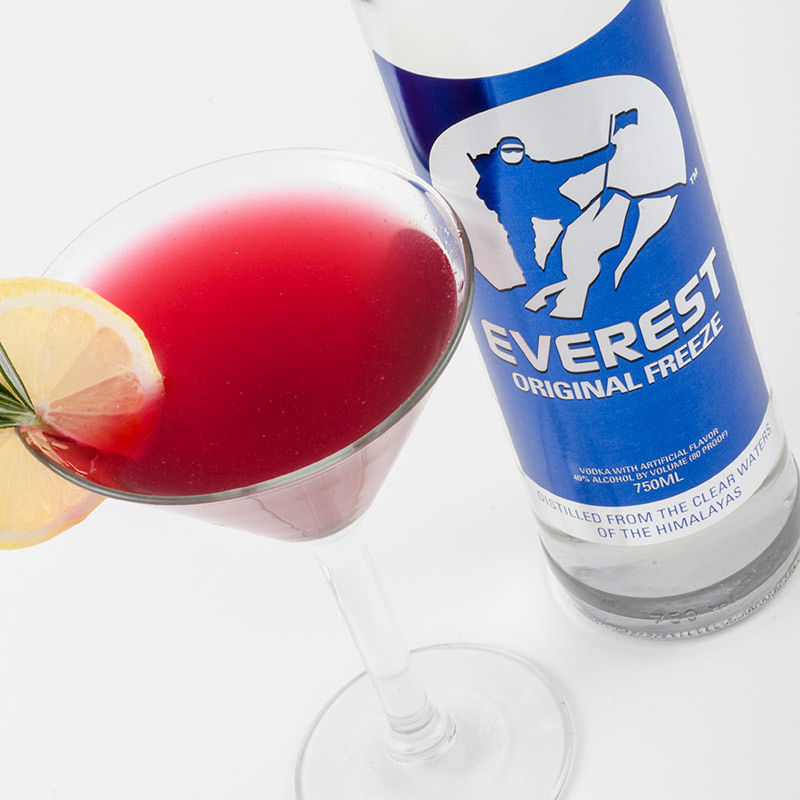 The combination of Everest Original Freeze with Wyman’s Wild Maine Blueberries, lemon, and agave is incredible. Add in a touch of rosemary at the end and it is simply perfection. It has the depth of flavor like no other. Trust us, this one is not to be missed! Enjoy! 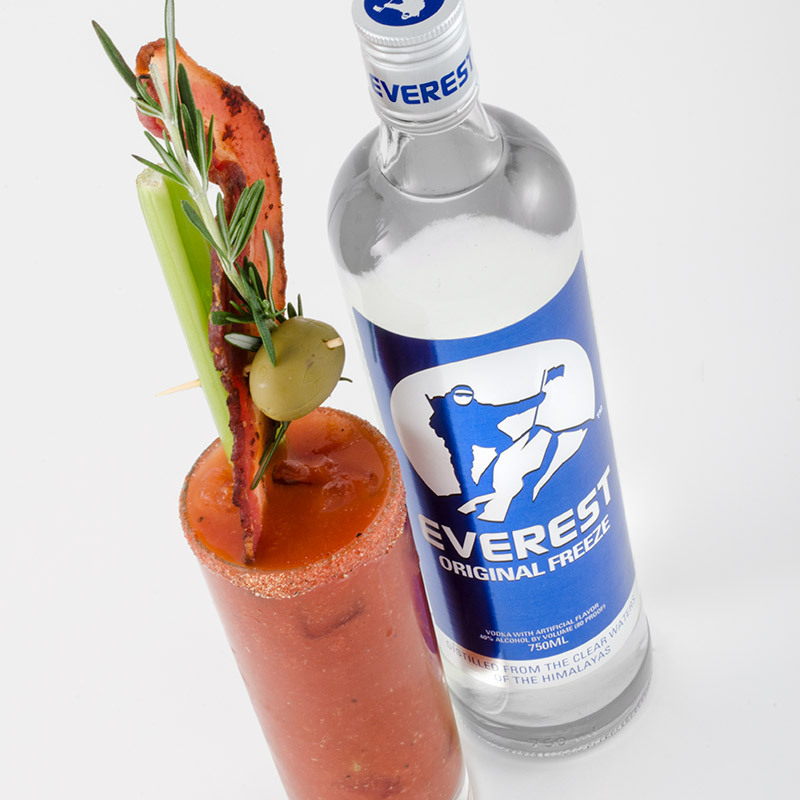 Start your day off right with a Bloody Mountaineer, our version of a Bloody Mary. It is mouth-watering and delicious and will kick start your day. The Bloody Mountaineer has the perfect amount of spice to leave you wanting more but without being overpowering. It also has a spicy rim that adds yet another depth of flavor. To top it all off, we garnish it with a hearty piece of bacon! 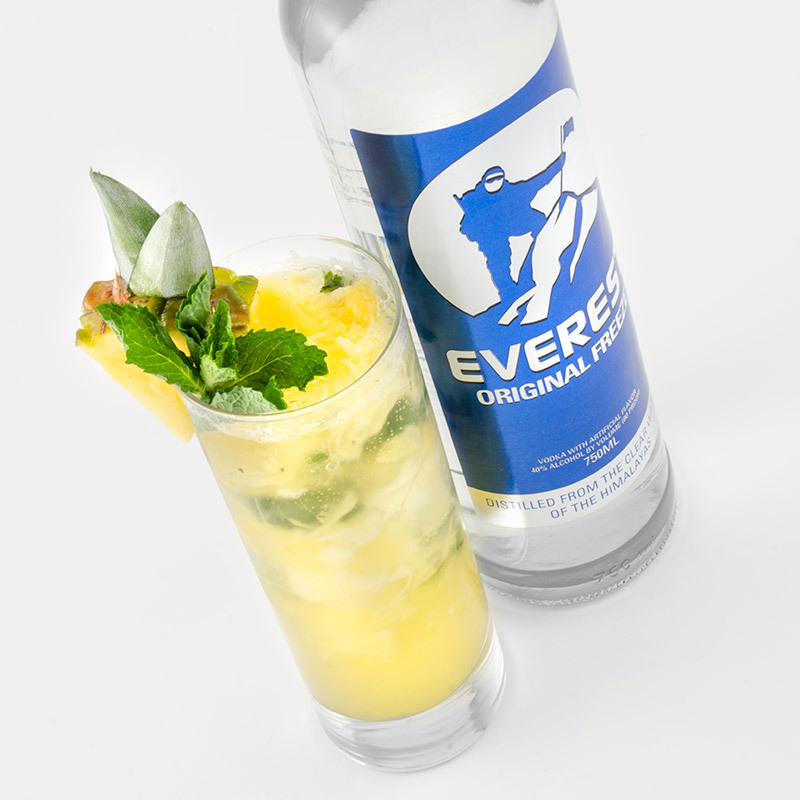 What’s better on a hot summer day than a refreshing cocktail made with Everest Original Freeze, juicy pineapple, fresh squeezed lime and mint? Friends to share it with! The Pineapple Vojito is all of this without being overly sweet. Make a pitcher of it to share with friends by the pool, beach, or for sitting out on your back deck on a warm summer night. It’s sure to be a favorite. Enjoy! If you are looking for a craft cocktail that isn’t too sweet or over powering but has a lot of depth of flavor The Summit is the right drink for you. 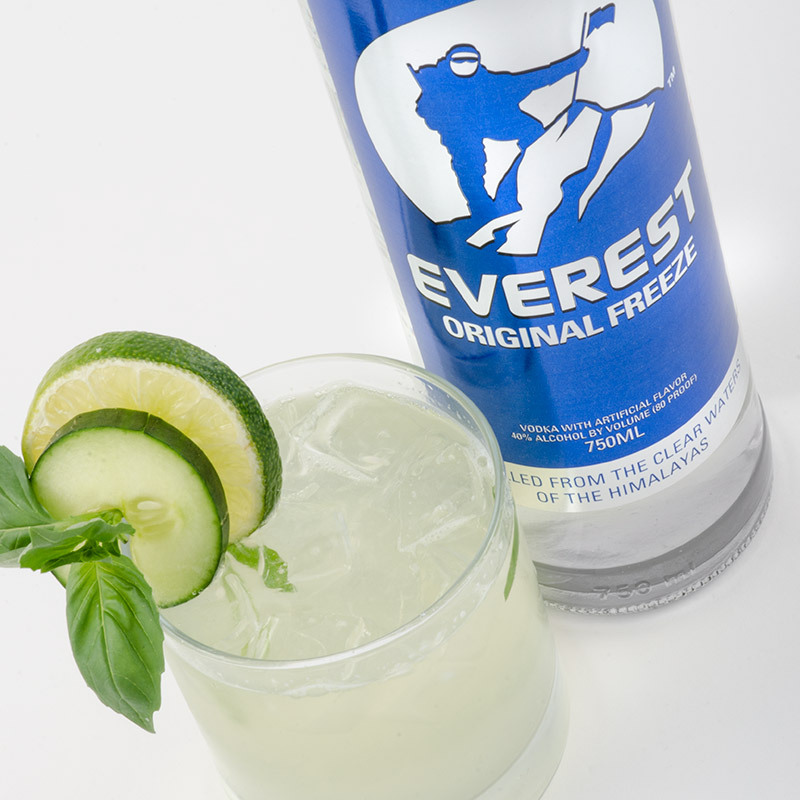 The subtle cucumber, basil, and lime balances perfectly with the sweetness of the elderflower liqueur and ginger beer. The Screw Up is our version of the classic Screw Driver. 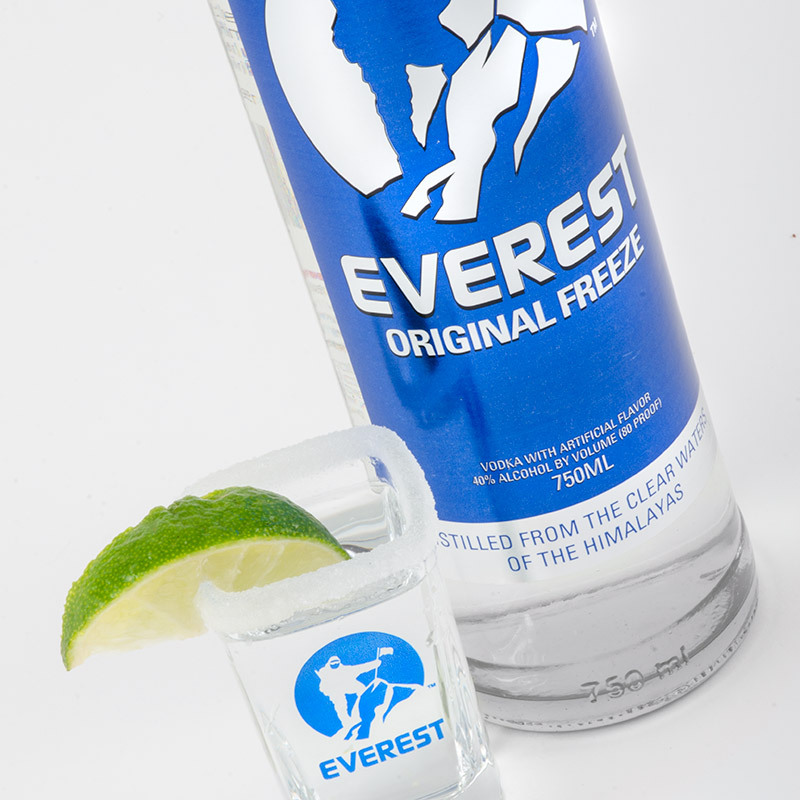 Made with Everest Original Freeze, this drink is so smooth you will forget there is even any vodka in it at all! Enjoy the Screw Up any time of day. This isn’t just your average mule. 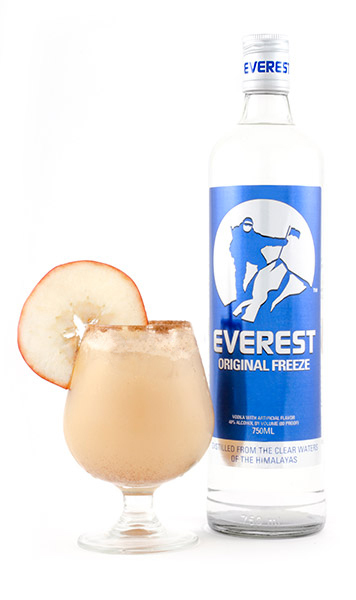 Made with Everest Original Freeze, The Himalayan Mule is so smooth you will wonder if there is any alcohol in it! 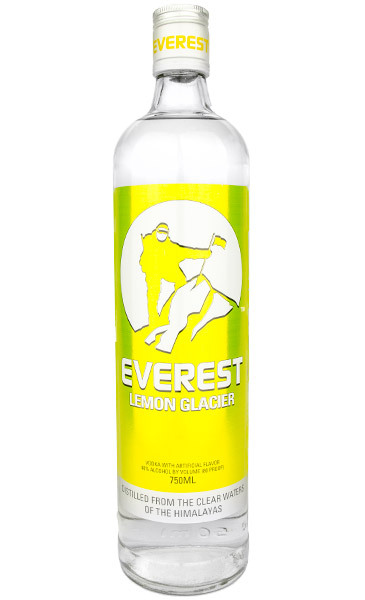 And, we put in a secret ingredient that adds flavor without taking away from the delicious ginger-lime taste – vanilla seltzer. 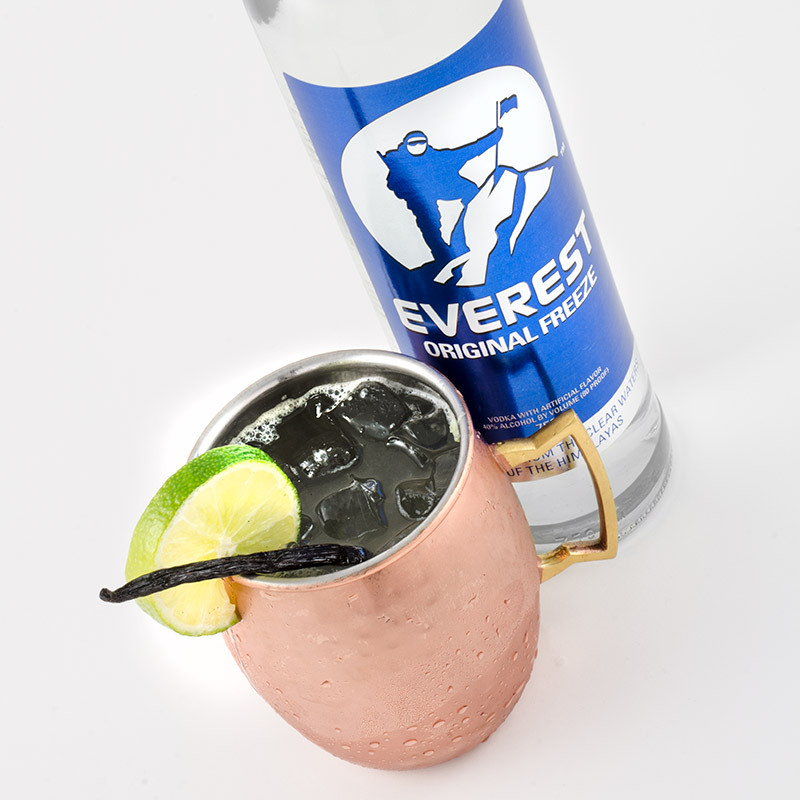 Whether this is your 1st or 100th mule, this will be the last mule recipe you will ever make. Enjoy! 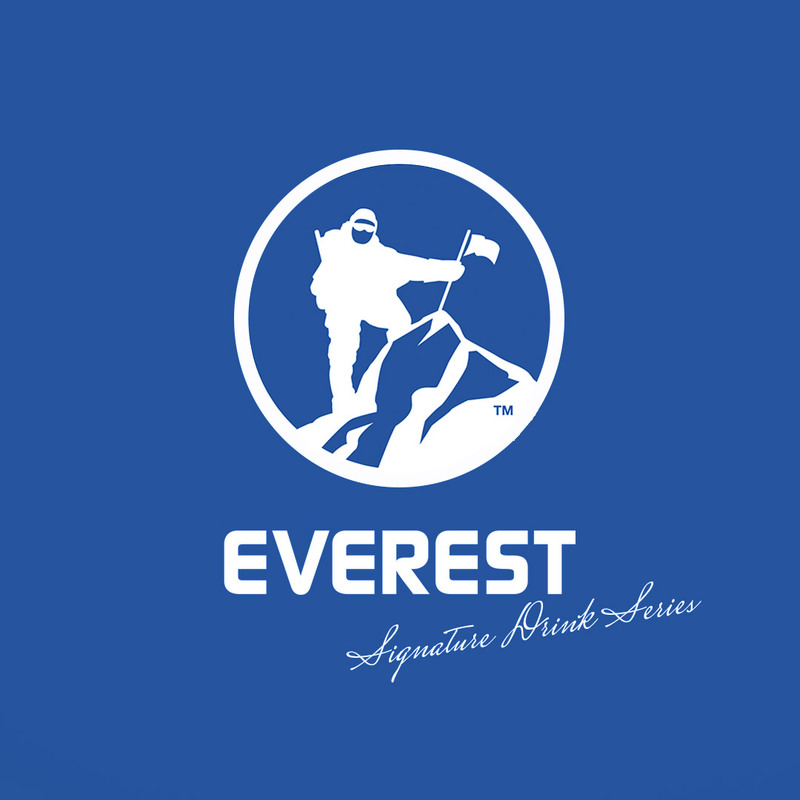 © Copyright 2017, Everest Vodka, All rights reserved.